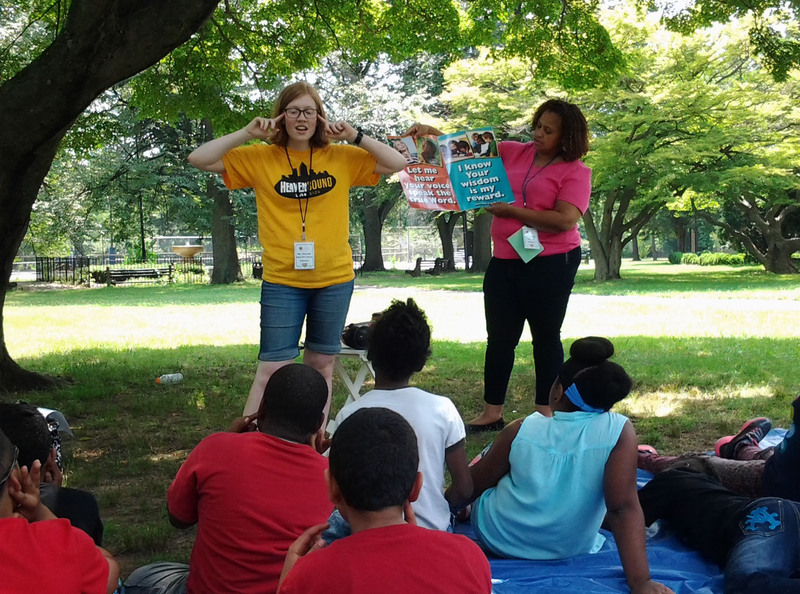 Get ready for Summer Ministry with CEF through our Paterson Outreach or hosting a 5-Day Club in your own neighborhood. Much of what we will teach is also suitable for use in any Christian ministry to elementary school-aged kids. Child Evangelism Fellowship’s primary summer outreach is through 5-Day Club®. Children gather in parks, community centers, and other locations for five consecutive days to hear the Gospel clearly presented through Bible lessons, exciting games, songs and activities. The 5-Day Club can be compared to vacation Bible school on the road. All volunteers who will be teaching or helping in 5-Day Clubs for the summer of 2019 are expected to attend the morning session of Summer Basic Training. Returning volunteers, those who have completed TCE™ Level 1 or teach regularly in a Good News Club may request to be excused from the afternoon session. In the morning we'll discuss 5-Day Club basics and observe a 5-Day Club Demonstration. We'll also look at the curriculum for the summer, the Jesus: My Savior and Friend lesson series, as well as overview songs, verses, games and activities. To round out the morning we'll have a brief session on the specifics for working in Paterson. Note: The morning session is required for all 5-Day Club volunteers. The afternoon session is required for all new volunteers. This training is also very beneficial to those serving in non-CEF ministries: Sunday School, VBS, various club ministries, summer missions trips, etc. All are welcome to attend. Training is also a great place to see what a 5-Day Club looks like, what we’ll be teaching and what role you might like to play. No teaching commitment is required to attend training. Snacks and beverages will be provided. Please bring a bag lunch if attending all day. If you discover that you will have difficulty meeting any of the training requirements, please let us know promptly. We will do our best to work with you. Please be aware, however, that as we get closer to ministry dates, our schedules are less flexible and we are less able to make accommodations.